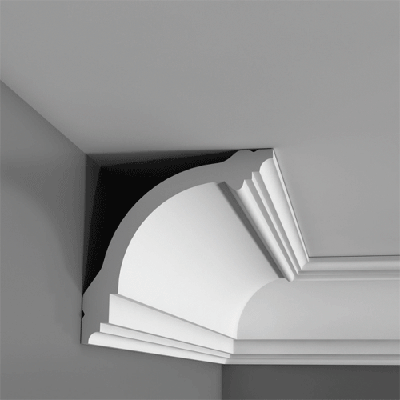 Used in buildings for hundreds of years, in thousands of different styles, and made from a number of different materials, Coving and cornices are a great addition to any home. Large grand rooms with traditional features require a heavier sculpted plaster moulding to look the part. However they require a more specialist approach. The majority of us live in home that were constructed in the last hundred years and lightly sculptured coving is more in keeping with these properties. 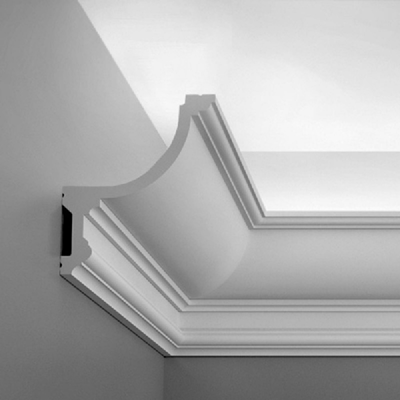 As part of our extensive decoration service we can install these lighter sculpted covings which are reasonably priced and relatively easy to install with minimal disruption to your home. They come in many different designs from a simple concave to more complex traditional designs. All come in standard lengths which are cut into one another to produce a continuous run around the perimeter of the ceiling. Each length is held in place with a specialist adhesive. The finished surface is generally painted to the same colour as the ceiling. Ask us about coving during our home visit and we can show you all the different designs you can choose from. As well as bringing elegance to your home there are additional benefits. The starkness of the wall/ceiling joint can be softened with a concave coving, making the room feel more inviting. Many rooms develop cracks at the wall/ceiling joint. This is generally nothing to worry about but look unsightly and can come back after repair due to the temperature variations within your home. 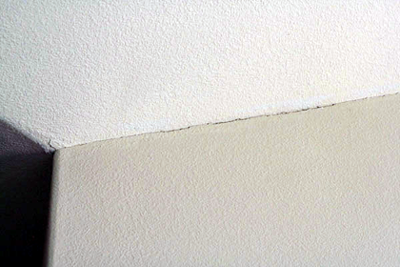 Coving can hide these cracks indefinitely and do not crack themselves as they are on a flexible adhesive. Another benefit is more modern covings can be situated approximately ten inches down the wall a provide a hidden tray that you can run lighting through. This will give an amazing up lighting effect without any glare.